On Thursday, Canadians marked Remembrance Day – an opportunity to pause in gratitude for those who gave themselves to the service of the nation and the cause of freedom. At St. Paul’s, Nobleton, since two of our LifeConnect Groups were meeting in the building, I put an internet feed of the service from the National War Memorial in downtown Ottawa on the screens in our worship space. They paused to participate with me. During that broadcast, we heard that some 30,000 people were estimated to have gathered at the Memorial – more than had been seen at the cenotaph in recent memory. As the years pass, so too do the veterans of our twentieth century war efforts. I believe that this was the first year at which no World War I veteran was present at the service. Our World War II and Korean War vets are aging, too. With their passing, we rely more and more on books, the media, and history teachers to remind us of the sacrifices made on our behalf – and on veterans of conflicts waged in more recent times. 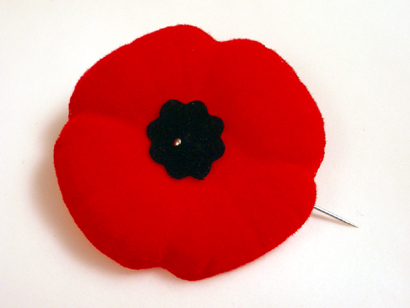 I remember, as vividly as if it were yesterday, a war veteran being invited into my Grade Four classroom. He was a remarkable man, not least because he was missing most of one leg, thanks to a land mine. He told us what fighting on the front lines was like. It was decidedly enough to make me, and I’m sure my classmates, very interested in the promotion of peace. We must remember what our war veterans have done for us, and in so doing, we must remember not to take these sacrifices for granted. Too often, that which is considered a part of ‘freedom’ in Canada today is not exactly what was envisioned by those who were risking or giving their lives against the wiles of tyranny: indeed, some of what passes for ‘freedom’ in our nation would be what our veterans would call ‘tyranny’! My cousin quoted from our late Prime Minister, John Diefenbaker, in a Facebook post on Thursday: “I am a Canadian, free to speak without fear, free to worship in my own way, free to stand for what I think right, free to oppose what I believe wrong, free to choose those who shall govern my country.” I am, sadly, not altogether sure that we have all of these freedoms anymore – especially the ones to stand for what we think right, and to oppose what we believe wrong. Follower of Jesus, you and I have a responsibility to hold high the torch that has been thrown to us, in the words of John McCrae’s poem. It is a responsibility to fight – hopefully in ways beyond the battle field – for a comprehensive freedom. Francis Chan, an American church leader, has said, “Our greatest fear should not be of failure, but of succeeding at things in life that don’t really matter.” There is a great deal for which we fight that, from an eternal perspective, matters not one iota. Remember our veterans, and fight for what is right. Jesus said, “No one has greater love than this, to one lay down one’s life for one’s friends” (John 15.13, NRSV).